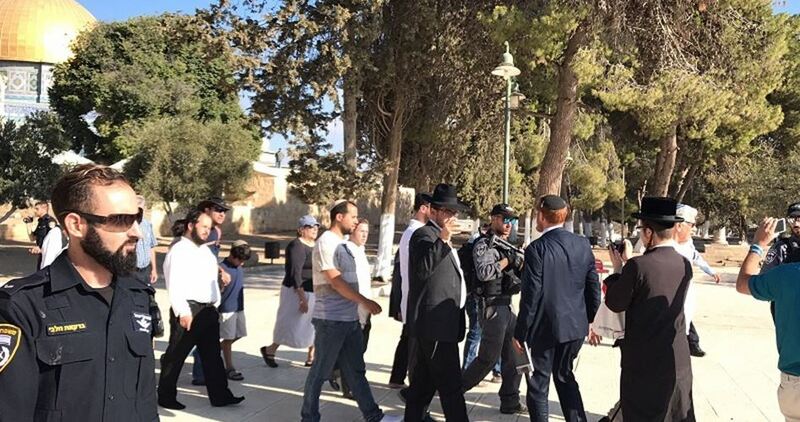 Dozens of Israeli settlers on Tuesday morning stormed the courtyards of al-Aqsa Mosque under the protection of the Israeli police. Jerusalemite sources reported that 54 settlers broke into al-Aqsa Mosque from Bab al-Maghareba and roamed the courtyards of the holy site in the presence of a large number of Israeli policemen and armed special forces. The sources noted that 35 Jewish students and 34 members of Intelligence Service had broken into al-Aqsa Mosque during the morning shift of incursions. Palestinian national and Islamic figures have earlier called for intensifying Palestinian presence in the holy shrine in face of Israeli escalated and provocative break-ins. 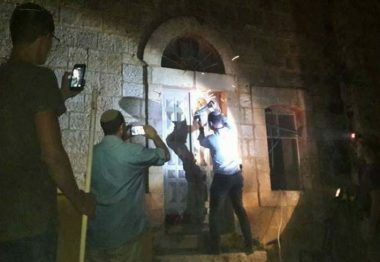 A group of around fifteen Israeli colonialist families invaded, on Monday at night, two Palestinian buildings close to the Ibrahimi Mosque, in the southern West Bank city of Hebron, despite being evicted earlier following a court ruling. The colonizers invaded the two buildings, after claiming they purchased them with the approval of the ‘Civil Defense Administration,” which is the executive branch of the Israeli military occupation of the West Bank. kicked them out, before raising the Israeli flag on top of the building. Israeli soldiers were heavily deployed in the area but did not intervene or try to remove the illegal colonizers. The Israeli prosecutor’s office has dropped all charges against an Israeli colonizer who, on November 30, 2017, shot and killed a Palestinian farmer, after a group of colonizers attacked Palestinians who were working in their orchard. The prosecutor’s office therefore dropped the “negligent homicide” charges against the Israeli perpetrator who killed Odeh. Palestinian eyewitnesses of the fatal Israeli attack contradicted the Israeli allegation and confirmed that the Israeli colonizers assaulted many Palestinian farmers in their olive orchards in Qusra village, south of the northern West Bank city of Nablus, and opened fire at them, killing Odeh after shooting him with a live round in the chest. The incident took place when approximately 20 settlers who came from the illegal “Yesh Kod” outpost, which was built on private Palestinian lands, assaulted the Palestinian and his family, before one of them shot Mahmoud. The colony where the Israeli assailants reside is nearly 15 kilometers away from the Odeh’s land. Eyewitnesses said the colonizers attacked many farmers in the area, and assaulted Odeh while in his orchard in Ras al-Nakhel area, east of the village, before shooting him with a live round in the chest. Hours after the fatal Israeli attack, dozens of settlers and soldiers invaded Qusra, before the army shot and seriously wounded one Palestinian in his pelvis, and injured many others, while the settlers also smashed the front windshield and one of the windows of a Palestinian ambulance, wounding the driver in his eye. Two who were shot with live rounds in the pelvis, and the leg. Two who were shot with rubber-coated steel bullets. Two who were assaulted and beaten by soldiers and settlers. One ambulance driver wounded in his eye. Scores of Palestinians who suffered the effects of teargas inhalation. Central District Attorney's Office cites lack of guilt in decision to close case against parents who accompanied group of 20 children on trip near Qusra and came under attack by a Palestinian mob; the shooting of Mahmoud Za’al Odeh, who was among the rioters, was found to be in self defense. The Central District Attorney's Office said Monday it has decided to close the case against two Israelis who shot dead a Palestinian who was part of a group throwing stones at a group of children they were accompanying, citing lack of guilt. 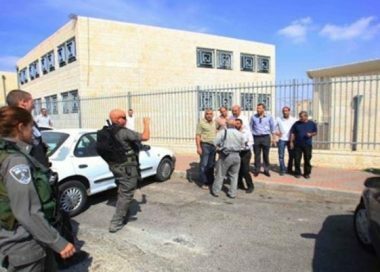 The decision stated the shooting of 47-year-old Mahmoud Za’al Odeh from the village of Qusra was found to be in self defense. On November 30, 2017, a group of 20 Israeli children and two parents accompanying them went on a Bar Mitzva trip near the village of Qusra, in the Nablus Governorate. During their hike, the Israeli group came under attack by dozens of Palestinian rioters, including Odeh, who hurled rocks and stones at them from up a slope. The two parents, who claimed they felt their lives were in danger, said they only fired warning shots into the air. One of the bullets hit Odeh, killing him. The Israeli group fled their attackers into a cave, with some of the Palestinians pursuing and attacking the children and one of the parents, wounding the adult. Some residents from Qusra came to aid the group of Israelis and protect them until IDF forces arrived at the scene to extract them. The investigation confirmed that the shooting was done while the attackers were standing up the slope and throwing stones down at the Israeli group. This was in line with the Israeli suspects' version, whose shooting into the air could have conceivably hit Odeh, who was among the stone throwers. In addition, the Israelis' version of events was backed by the testimony of one of Qusra's residents, who said the suspects fired only in self defense and only after stones were thrown at them. Some of the attackers have been indicted by the Military Advocate General's Office. Honenu, a legal NGO that has provided the Israeli suspects with legal assistance, said in a statement: "From the first moment it was clear that a barbaric mob attacked a group of hikers whose only sin was that they were Jews who went on a Bar Mitzva trip in the Land of Israel. We lament the injustice done to the parents so far, and the fact that immediately upon their discharge from the hospital they had to be questioned at the police station, and rather than receive a commendation, they were made suspects. The police in their actions personally hurt the brave parents." 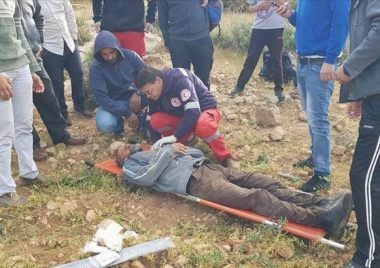 A Palestinian farmer, Taysir Suleiman of Huwara town south of Nablus city, was assaulted and injured by extremist Jewish settlers while he was working in his farm on Monday. 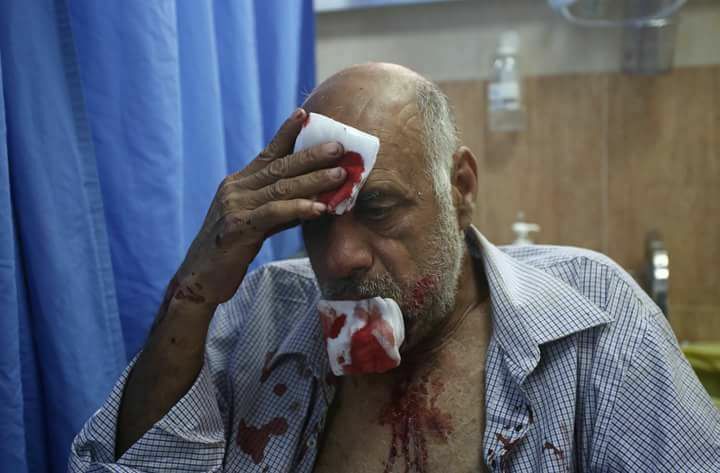 The official of settlement file in the northern West Bank, Ghassan Daghlas, told the PIC reporter that a group of fanatic Jewish settlers of Yitzhar illegal settlement attacked the 50-year-old man by severe beating in al-Luhuf area west of the town. The farmer was left with bruises and fractions as well as injuries in the head. He was moved to Rafidiya Governmental Hospital for treatment. Extremist Jewish settlers on Sunday attacked Palestinian farmers while working in their farms in Emmatain town near the illegal settlement of Havat Gilad east of Qalqilya, leaving one farmer injured. The Palestinian official of settlement in the northern West Bank, Ghassan Daghlas, said that Israeli settlers have escalated their violations against Palestinians over the past months under protection by Israeli army. Jerusalem Magistrate's Court on Sunday issued a ruling allowing Jewish settlers to perform prayers at al-Aqsa Mosque's gates, claiming that the right of Jewish settlers to pray at the “Temple Mount” gates was no less than the right of the Arabs. Judge Shmuel Herbst rejected a police request to distance three 14-year-old Jewish girls from al-Aqsa Mosque area who prayed near the holy site’s gates. The three girls were detained after praying at the al-Aqsa's gates and police requested they be distanced from the area, claiming their prayers and presence with a prayer book at the holy shrine gate area could spark violence. In his decision, the judge ruled that "it is the right of every person to pray on the streets of cities in Israel, provided this does not violate the rights of others". Sheikh Ekrema Sabri, head of the Higher Islamic Authority in Occupied Jerusalem and Preacher of al-Aqsa Mosque, said that the Israeli ruling is null and void and totally rejected. He told Quds Press that al-Aqsa Mosque is a holy site for Muslims only and the court’s decision is irresponsible and illegal. 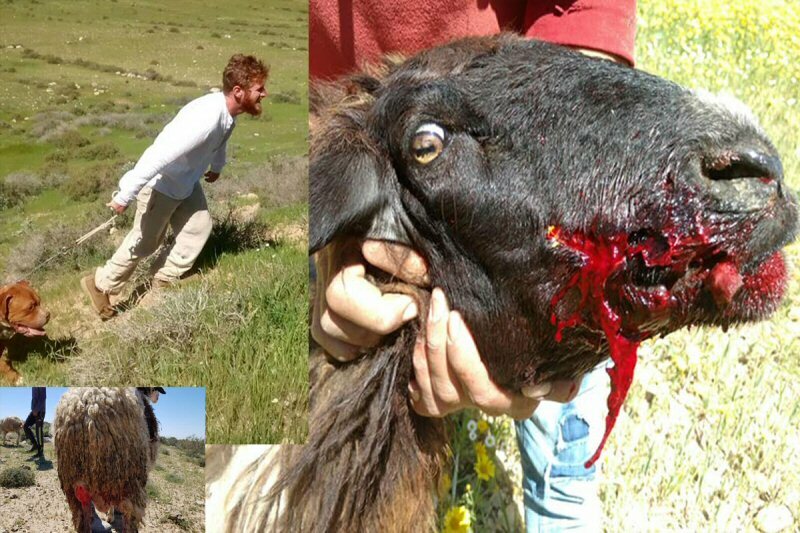 A group of extremist Israeli colonizers attacked, Sunday, a Palestinian shepherd in grazing lands east Tawania area, in Yatta town, south of the southern West Bank city of Hebron, causing fractures and bruises. Rateb Jabour, the coordinator of the National and Popular Committees against the Annexation Wall and Colonies in southern Hebron, said the Israeli assailants came from Ma’on and Havat Ma’on illegal colonialist outpost, installed on Palestinian lands. He added that the colonizers attacked Jom’a Mousa Rib’ey, 45, causing various cuts and bruises, in addition to fractures in his left leg, and lacerations in the head. The wounded shepherd suffered moderate injuries, and was rushed to Abu Hasan al-Qassem Hospital, in Yatta. Israeli soldiers abducted, on Friday evening, a young Palestinian man from Beit Ummar town, north of the southern West Bank city of Hebron, and invaded a public park in Yatta, south of the city. 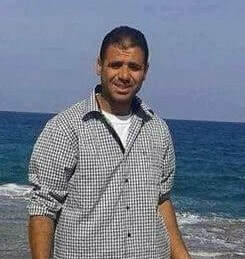 The soldiers stopped a Palestinian bus at the main entrance of Beit Ummar, examined the ID cards of many Palestinians while interrogating them, and abducted a young man, identified as Yousef Ahmad Ezzat Awad, 22, a student of Al-‘Arroub Technical College. Furthermore, the soldiers invaded the public park of Yatta city, south of Hebron, and removed the Palestinians, before accompanying illegal Israeli colonizers into the area. The so called Temple of Solomon organizations asked Israeli Prime Minister Benjamin Netanyahu to allow celebrating Passover rituals inside al-Aqsa Mosque. The Jewish organizations of the alleged Temple of Solomon have been offering training, sponsored by the Israeli municipality in Occupied Jerusalem, for performing Passover sacrifices for 15 years. The Passover rituals were previously conducted secretly within closed communities. However, it has recently become a public event with the participation of hundreds of Jews. These societies aim at pressuring the Israeli government to accelerate the temporal and spatial division of al-Aqsa Mosque as the first step to build the alleged Temple of Solomon. 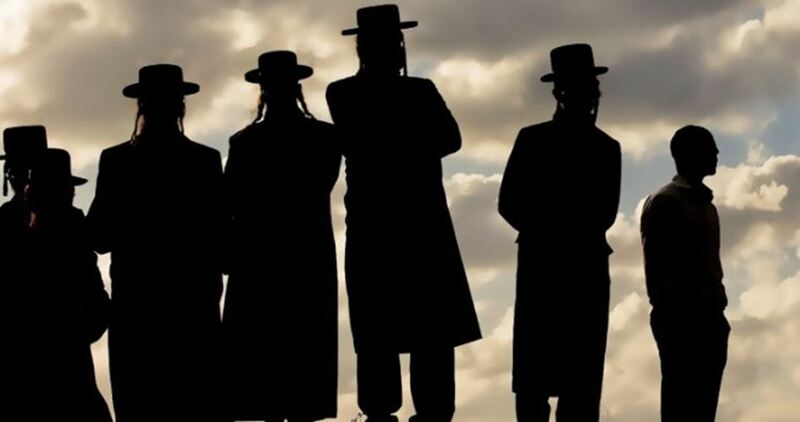 Groups of Jewish extremist settlers on Wednesday evening broke into a site of an evacuated settlement south of Jenin city and defiled an old mosque where they performed Talmudic rituals. 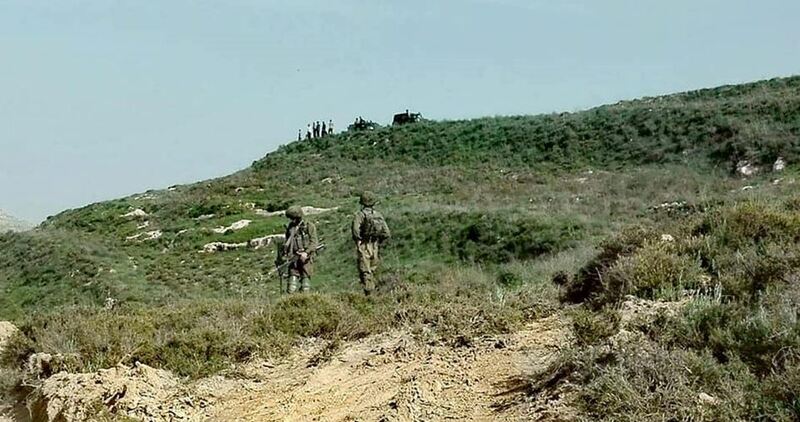 Local sources told the PIC reporter that Israeli occupation soldiers erected a military checkpoint on Jenin-Nablus road to secure the entry of settlers into the old settlement’s location. Israeli colonial settlers stormed, on Wednesday morning, the courtyards of Al-Aqsa Mosque, while Israeli police arrested one of its guards from his workplace, inside the mosque. 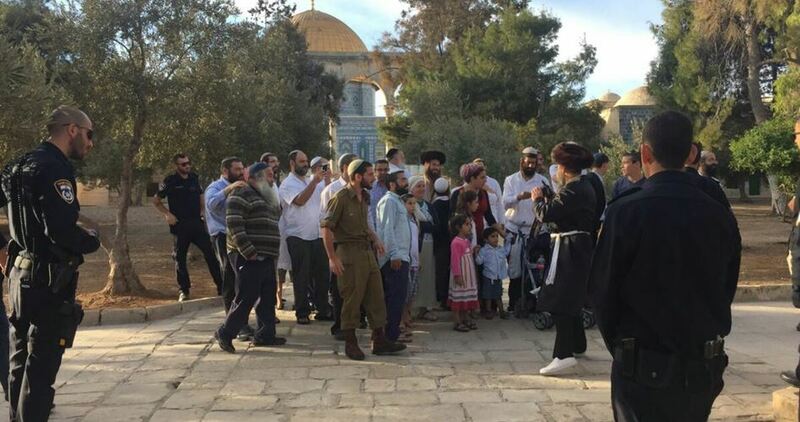 Jerusalemite sources reported, according to Al Ray, that 24 settlers guarded by security forces stormed Al-Aqsa in the early morning hours, via The Moroccan Gate, and attempted to perform Talmudic rituals. They said that Israeli police arrested the guard, Ehab Abu Ghazaleh, from his workplace inside the mosque, and took him to an investigation center in Jerusalem, after he refused to stay away from the settlers in the mosque.Al-Aqsa Mosque is exposed, on a daily basis, to such activities, at which the settlers perform Talmudic rituals and desecrate the sanctity of the mosque, under guard of Israeli forces. Israel seeks, through these actions, to divide the temporal and spatial division of the mosque, and to further Judaize the occupied city of Jerusalem. It is the third holiest site in Islam and also venerated as Judaism’s most holy place, alleged to be the original site of Solomon’s Temple. Disputes surrounding visitation to the site have historically flared tensions in the occupied Palestinian territory. The number of Israeli settlers storming the holy site has risen since US president Donald Trump’s declaration of occupied Jerusalem as the capital of Israel. Members of the so-called “Temple Mount” movement are publicly calling its followers to participate in wide scale mass raids on the holy site. 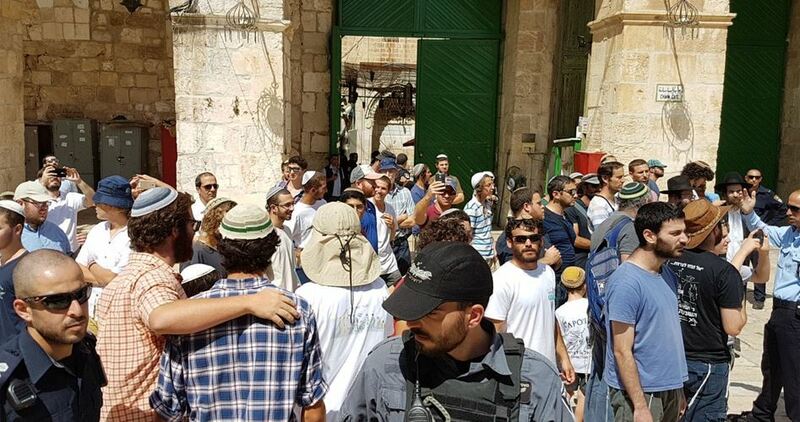 About 113 Israeli settlers broke into al-Aqsa Mosque on Tuesday through al-Maghareba Gate. 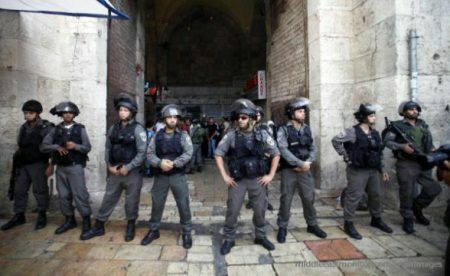 A source from the Jerusalem Awqaf Department told Quds Press that a batch of 49 settlers entered the Mosque first under the protection of Israeli police and special forces. The source added that 52 Jewish students stormed the site later during the morning round of incursions which lasted for three hours and a half. Other 12 settlers broke into the Mosque, toured its courtyards and performed Talmudic rituals during the one-hour afternoon incursion. 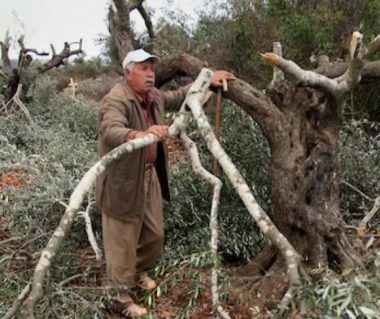 Several extremist Israel colonizers invaded, earlier Tuesday, a Palestinian olive orchard in the al-Jab’a village, southwest of Bethlehem, cut at least thirty olive trees, and took them away. Hasan Breijiyya, the coordinator of the Popular Committee against the Annexation Wall and Colonies, said the Israeli assailants came from Bayt ‘Ayin illegal colonialist outpost, which was built in private Palestinian lands. He added that the colonizers cut thirty olive trees from an orchard in Wad Abu Zalta area, in the eastern part of the village, and took the trees with them. Breijiyya stated that the trees are owned by a local farmer, identified as Mohammad Ali Hamdan, and added that the area has been subject to constant violations, including cutting and uprooting trees, and bulldozing Palestinian lands. 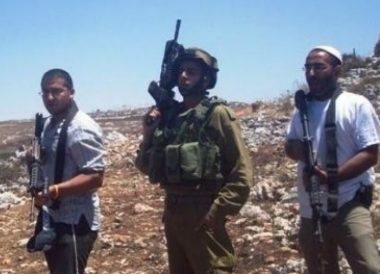 Extremist Israeli settlers, on Monday, attacked Palestinian farmers in the town of Turmus Ayya, northeast of Ramallah, and forced them off of their land, local sources said, according to WAFA. Saeed Taleb, Turmus Ayya municipal council member, said that settlers from the illegal Israeli settlement of Adi Ad, which was built on Turmus Ayya land, attacked about 10 Palestinian farmers while they were tending to their lands, throwing rocks at them as soldiers present in the area watched without intervening. When the farmers attempted to ward off the settlers, the soldiers intervened to protect the settlers and forced the farmers to leave their lands, despite their possession of Israeli-army issued permits to access and work in their lands. Israeli settlers at daybreak Monday assaulted Palestinian homes and painted racist graffiti in Jerusalem’s northern town of Hizma. 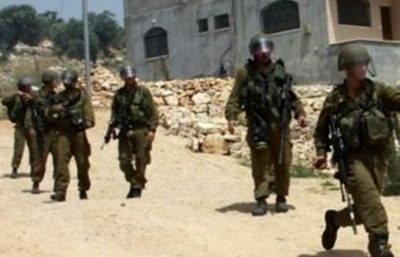 A horde of Israeli settlers attempted to break into three Palestinian homes belonging to the Askar family in Hizma. 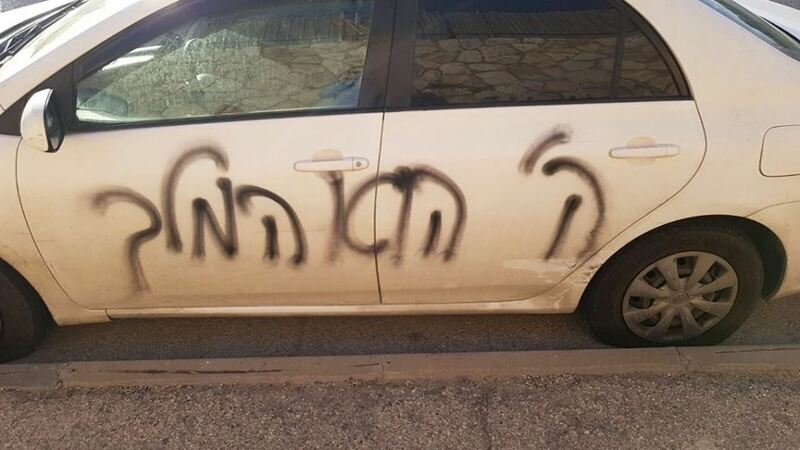 The settlers spray-painted racist graffiti and punctured the tires of Palestinian vehicles. At the same time, Israeli forces stormed the town and ransacked civilian homes, before they kidnapped five Palestinians. About 200 Israeli settlers on Sunday stormed al-Aqsa Mosque under heavy police protection. 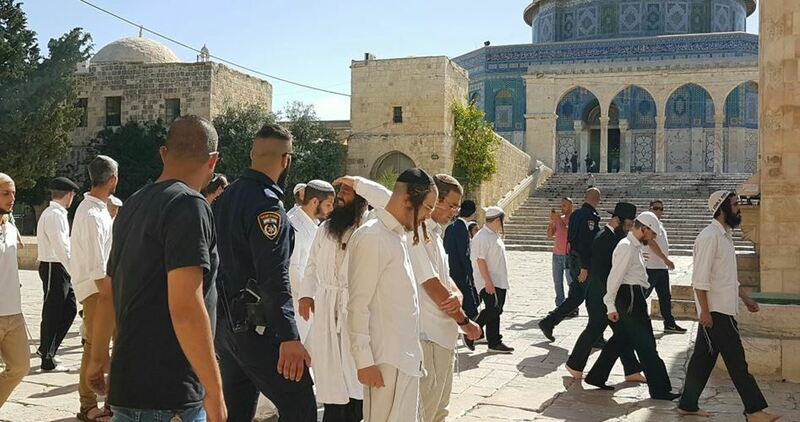 The Jerusalem Islamic Awqaf Department said that 152 settlers broke into al-Aqsa Mosque from al-Maghareba Gate during the first round of incursions which started at 7:00 am and performed Talmudic rituals there. It added that 47 Israeli soldiers entered the Mosque and toured its courtyards during the same period. A settler website named Temple Mount News announced that nearly 12,000 Israeli settlers have visited al-Aqsa Mosque since September 2017. The website added that this increase in the number of settlers is 50% higher that the number documented in 2016. 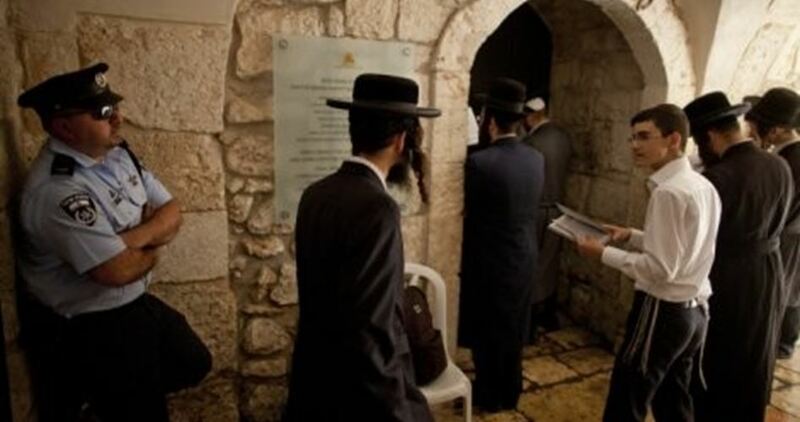 It pointed out that 1,500 Israeli settlers have carried out incursions into the holy site since the beginning of March 2018. Two Palestinian youths on Friday evening survived an attack by Jewish fanatic settlers in Aqraba town to the south of Nablus city in the northern West Bank. Eyewitnesses told the PIC reporter that Jewish extremist settlers attempted to attack the two youths while being in Yanoun nearby hamlet before managing to escape. The attacking settlers then gave a chase, on bikes, to the youths towards the town.